Time for beauty to blossom. Home / Blog / Time for beauty to blossom. 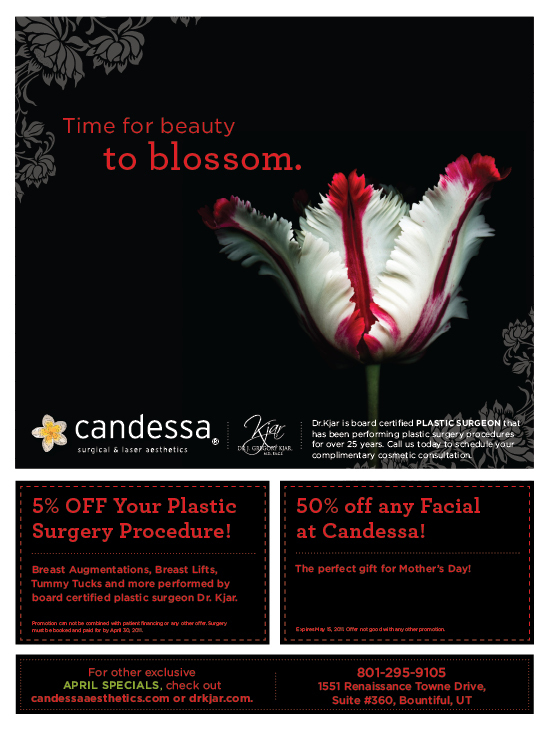 *5% off your Plastic Surgery Procedure. Breast Augmentations, Breast Lifts, Tummy Tucks and more performed by board certified plastic surgeon, Dr.Kjar. 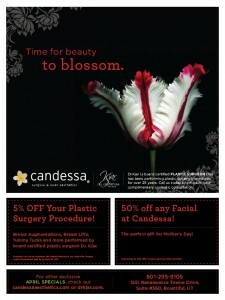 *50% off any Facial at Candessa Aesthetics. The perfect gift for Mother’s Day!